Mexican food is more popular than ever. Ben Fordham and Felipe Fuentes Cruz aim to deliver everything that is exciting and fresh about Mexican food to the people of Britain with their restaurant, Benito’s Hat. From the beaches of Baja and Cancun to the mountains of the Sierra Madre, Mexico has an incredible variety of vibrant flavors to offer. All of this rich culinary culture has inspired Benito’s Hat’s delicious burritos, tacos, soups, and salads. 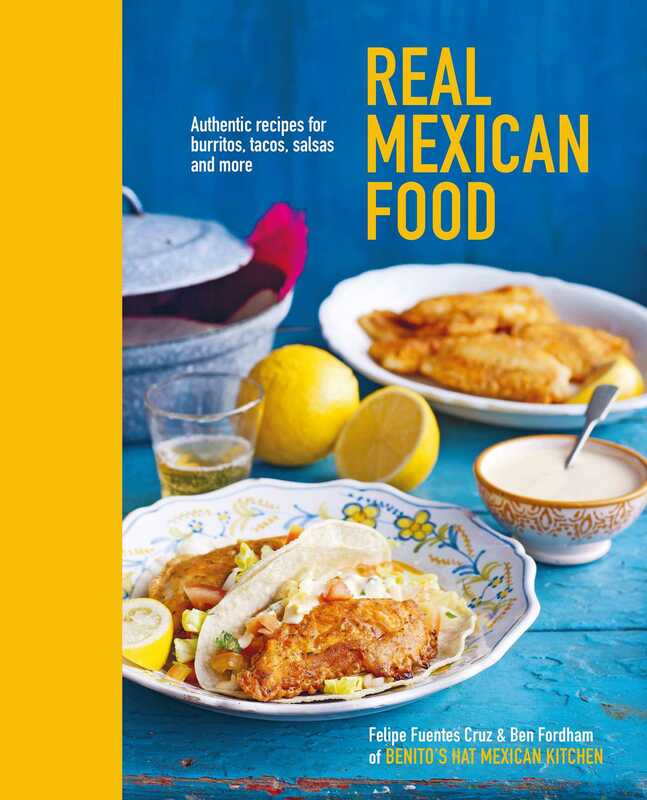 Ben Fordham and Mexican chef Felipe have created a cookbook offering their favorite dishes from their restaurants, plus many more from Felipe’s collection of authentic recipes. You’ll find Appetizers; Soups & Salads; Main Dishes; Side Dishes; Salsas; Desserts; and Drinks. Mouth-watering recipes include guacamole with homemade corn tortilla chips, burritos with beef birria, pico de gallo and salsa brava, tacos with shrimp and paprika, refried beans with chorizo, Mexican flan, ice cold margaritas, and refreshing non-alcoholic juices.